Exhibition of food products and drinks InterFood St. Petersburg is an effective business platform for direct contacts of producers and suppliers with representatives of wholesale trade, independent stores, retail chains and public catering enterprises of the Northwest Russia, which are interested in expanding and updating the range of food and drinks. 25th exhibition of building and finishing materials. 6th International exhibition of heating, water supply, ventilation and climate systems equipment. Aquatherm St. Petersburg exhibition is an effective tool to increase sales and attract new customers from the Northwest Russia. 20th International exhibition of equipment and materials for professional cleaning, sanitary, hygiene, dry-cleaning and laundry. CleanExpo St. Petersburg is the leading in the NorthWest Russia exhibition of equipment and materials for professional cleaning, sanitary, hygiene, dry-cleaning and laundry. 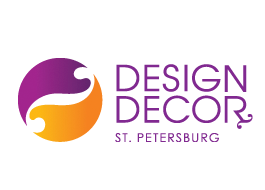 7th International exhibition of interior and decor items.